Sterling made very slight gains against the dollar yesterday, but following its drop to an 11-month low on Monday, it was positive news. However it did continue to weaken against the euro. The truth is that nobody is any clearer on whether or not the UK will exit the European Union without a deal, but sometimes no news is good news and the effect of Liam Fox’s comments on Sunday appeared to dissipate somewhat for the dollar but gain credence against the euro. Consumer spending in the UK remains strong according to a survey by Barclays. The Great British public have been boosted by the World Cup and the heatwave, with spending increasing by 5% year-on-year in July. It is the third consecutive month with spending growth around this level, although Barclays did urge caution, as consumers remain negative about the general economy, while the appetite for large purchases remains fairly muted. It’s definitely something to keep our eyes on in the coming months. Industrial production in Germany dropped by more than expected in June, but the euro managed to make some gains against sterling and the dollar. Other than that it was a fairly quiet day which is something that continues today, with very little economic data on the schedule. So, with that in mind, why not keep yourselves occupied and entertained with our latest currency forecasts? The swings in what we could see between GBP and USD in the coming months are dramatic to say the least. Much appears to hinge on whether we secure a deal with the EU and, as nobody can be certain either way (despite what Fox might claim), nobody can be certain whether the pound will recover its losses or fall further back. Speak to a member of our team today to de-risk your business, remove any uncertainty over future payments, and afford yourself peace of mind. The Halifax house price index showed that the price of households increased by 1.4% in July which was better than expected. The markets had been expecting an increase of just 0.2%, so the housing market is clearly in a period of rude health at the moment. Year-on-year, prices increased by 3.3% which was higher than the 2.7% forecast. Today is extremely quiet in the UK, although Friday is rather busy, with the balance of trade for June, construction output and the all-important GDP growth rate for the second quarter of 2018 set for release. We could see further sterling volatility towards the end of the week, depending on how the UK economy has fared of late. Following Monday’s extremely disappointing German factory orders release, all eyes were on industrial production yesterday. The markets had expected a drop of 0.5% in June, but the figure actually came in at -0.9% to create further headaches for eurozone business leaders. The decline was led by lower production of consumer, capital and intermediate goods, while construction activity also shrank by 3.2%. Meanwhile, the German trade surplus fell to €21.8 billion in June 2018 from €22.8 billion in the same month of last year. Imports jumped 10.2% to an all-time high, while exports increased by 7.8%. The euro actually had a good day and strengthened against both the dollar and sterling. The trade surplus figures no doubt buoyed the markets and industrial production could certainly have been worse. There are no releases for the eurozone today, so any movements will likely come from events elsewhere. Donald Trump took to Twitter (where else?) to tell the rest of the world that anybody trading with Iran will not be trading with the US. The president of the United States of America said that he was asking for WORLD PEACE and with the midterms coming up in November it’s no wonder. 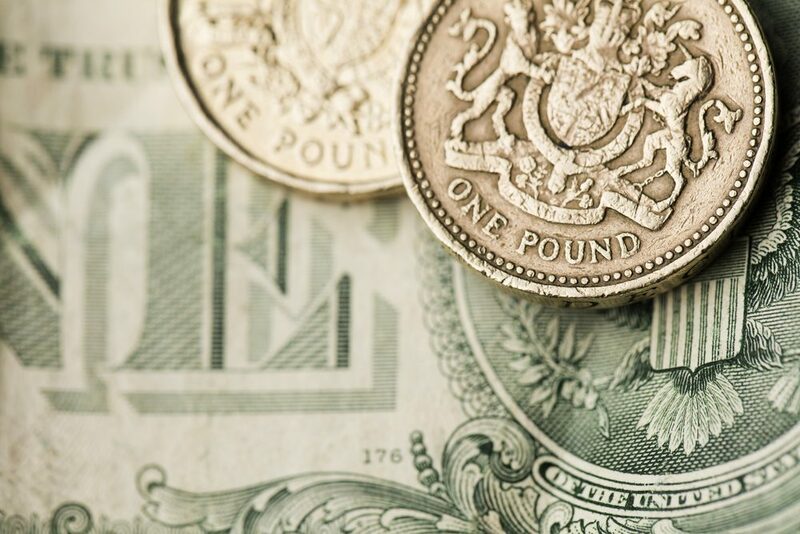 The dollar was fairly muted against sterling but lost some ground against the euro. Today is fairly quiet across the board, although we will see initial jobless claims tomorrow. On Friday, we will see the inflation rate for July which is expected to have crept up to 3% from 2.9% the month before. This might put further pressure on the Federal Reserve to hike rates again, despite Trump complaining about the central bank’s behaviour in the past.